We’re packing up for the International Builders' Show. Here’s a look at what we’re bringing. 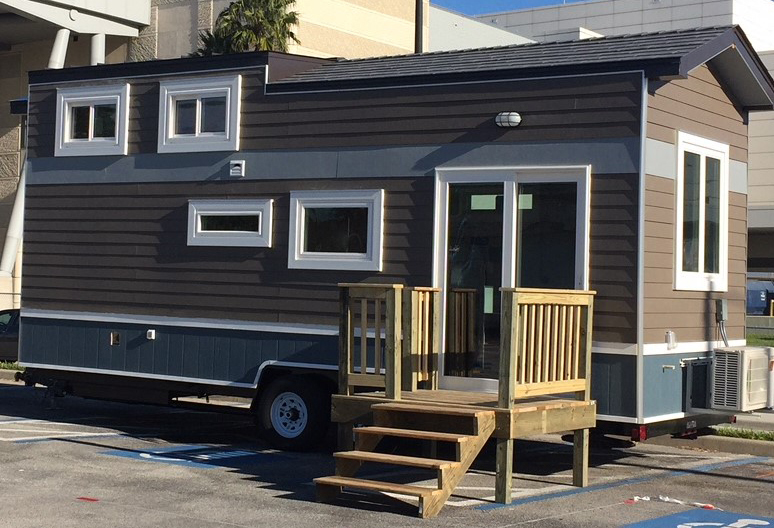 IBS NextGen Tiny Home featuring Matterhorn metal roofing. Each year more than 60,000 visitors from 100 countries gather for the International Builders’ Show, the largest annual light construction show in the world. For three days manufacturers and suppliers display and demo their latest and greatest in more than 500,000 square feet of exhibit hall space. There are also plenty of opportunities to see how various products work together. Several showcase homes have been set up onsite and around host-city Orlando. These concept homes push builders to tackle the challenges of the future. Like the Renewable Living Concept Home which focuses on green building and challenges builders to design a home that can adapt with its owners over time or the NextGen Tiny Home that forces builders to work with space constraints. We’ll be in the Renewable Living Concept Home, the NextGen Tiny Home and onsite with some of our latest products designed to make life at home better. 1) Siding with the durability to withstand the elements. ICON™ siding has the look and texture of real cedar wood planks, but this lightweight and flexible composite siding panel is made from a patented formulation that can withstand harsh weather and perform over time. Minimal moisture absorption means that ICON will not delaminate, crack or peel over time. 2) Metal roofing that looks just like traditional materials. 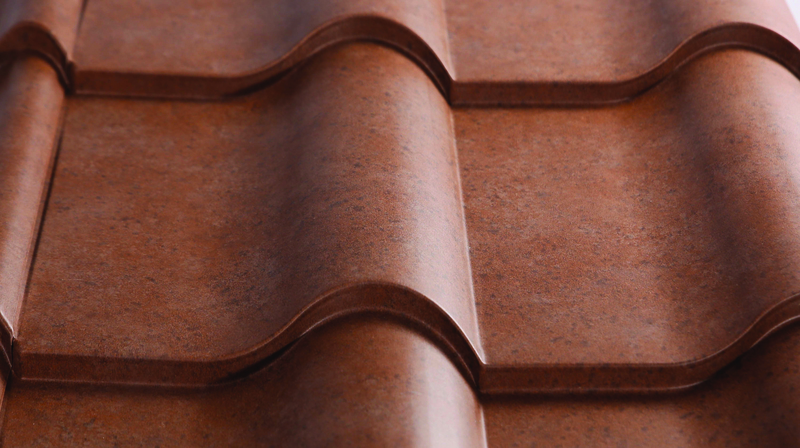 Matterhorn Metal Roofing combines the strength of steel with the architectural design of traditional slate, wood shake, or clay tile. Advanced polymer coatings and a high-performance tri-pigment paint technology provide long-lasting rust resistance and colorfastness. Other product benefits include an industry-leading Class 4 impact resistance rating, a Class A fire resistance rating, a wind resistance rating up to 130 mph, and a color palette that features solar reflecting colors that can be used to comply with the 2016 California Title 24 Part 6 Cool Roof Requirements. 3) Drywall that cleans the air. Building a healthy home environment starts with the air you breathe. 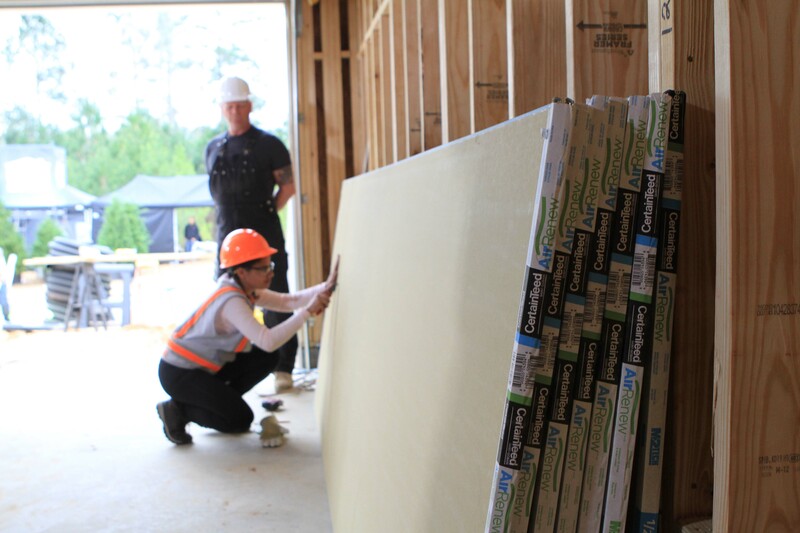 AirRenew® drywall uses a patent-pending formula specially designed to absorb formaldehyde out of the air, trapping and converting it to a safe, inert compound. M2Tech® technology provides enhanced moisture and mold resistance, all for maximum indoor comfort. 4) Floors that block the sound of your upstairs neighbors. 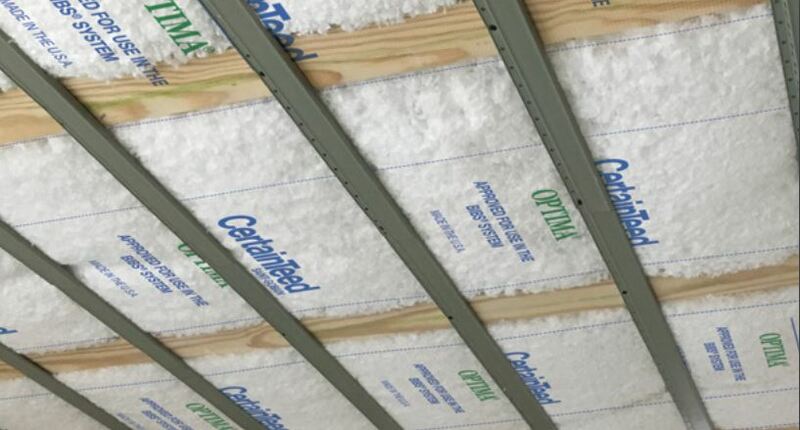 When installed in midfloor applications, this noncombustible insulation provides high-quality fire protection and sound blocking in one easy-to-install, blown-in solution. These are just a few of the products we’ll be featuring at IBS this year. If you’re going to be in Orlando take some time to stop by and see for yourself. Have questions about these or any of our building products? Give us a call. We’re happy to help. Plus, learn more about the science and technology behind our new product developments in our Innovations series.